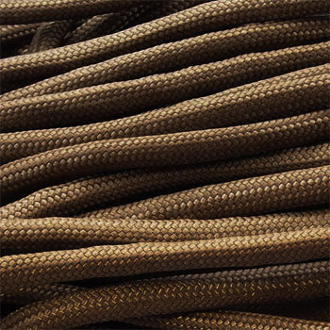 Parachute Cord. Brown nylon construction. 100 ft. length. Ideal for camping, boating, crabbing, indoor and outdoor clotheslines, halyard lines, garden lines, venetian blinds, awning lines and many applications requiring strength and durability.